John Witherspoon, the only clergyman to sign the Declaration of Independence, was born in Yester, Scotland on 5 Feb 1722 or 1723. This is the same day, just the difference between the Julian and Gregorian calendars. His parents were James Witherspoon and Anna Walker. Anna was John’s first teacher. She taught him to read and by the age of four, he could read from the Bible and would eventually be able to recite most of the New Testament. His father, James, was the minister of Yester Parish. He served on committees in the General Assembly and was the royal chaplain to the Lord High Commissioner. Anna came from a long line of clergymen that extended back to John Knox. She had six children. One of her sons was lost in the West Indies. She had a grandchild who was the tutor to Sir Walter Scott. John was recruited by the trustees of the College of New Jersey (now Princeton University), Princeton, NJ to become the President of the College after the death of Dr. Samuel Finley, its fifth president. Benjamin Rush and Richard Stockton (later Signers of the Declaration of Independence) among others were sent to Scotland to recruit John for the position. Many of the letters between John and the various Princeton principals are contained in the Butterfield book referenced at the end of this biography. On 18 May 1768, John and his family sailed for Philadelphia on the brigantine Peggy, which arrived in August. The College of New Jersey bloomed under his direction. He grew the endowment fund, instituted curricular changes, and patched up a major schism in the Presbyterian church. By 1770 the College students were openly advocating in favor of the patriot cause. John, in a commencement address advocated resistance to the Crown. In 1774-1775 he represented his county in the New Jersey provincial assembly, successfully agitated for the removal and imprisonment of the Royal Governor and received an appointment to the Continental Congress. On July 2, 1776, in response to a delegate who opposed ratification of the Declaration by saying “we are not ripe for revolution”, John replied, “Not ripe sir, we are not only ripe for the measure but in danger of rotting for the want of it”. In 1776, when the war entered into New Jersey territory, he closed the College of New Jersey. The British occupied the College, burned its library and in general left things a mess. Many of John’s papers were burned or destroyed at this time. The next year, James, one of John’s sons, lost his life at the Battle of Germantown, PA.
John stayed with the Continental Congress until 1782. While a member of the Congress he aided in the reorganization of the Board of Treasury, drafted a letter of thanks to Lafayette, the credentials and instructions for Franklin as minister plenipotentiary, and designed seals for Treasury and the Navy Department. He was also working to get the College back on its feet with classes beginning again November 1778. After the War, Witherspoon remained remarkably active and influential. He was a member of the ratifying convention that brought to New Jersey the honor of being the third state to ratify the Constitution of the United States. 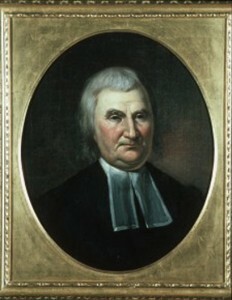 He contributed greatly to the organization of a newly independent and national Presbyterian Church and in 1789 opened its first General Assembly with a sermon and presided until the election of the first moderator. Above all, the name he had won as a pastor, an educator, and a patriot brought strength to the College. He is rightly remembered as one of the great presidents of Princeton. On October 1789, his wife, Elizabeth, died suddenly. A month after her death, John returned to the New Jersey Assembly, where he was given the task of setting priorities of business; he elected to have the body deal with the treatment of prisoners, pensions of invalids, public debts, promotion of religion and morality, divorce, paper money, establishment of records of vital statistics, and encouragement of manufacturing. He later chaired a committee concerned with the abolition of slavery in New Jersey. on the 5th of February, 1722, O. S.
first at Beith, and then at Paisley. with the elevated expectations of the public. of literature and the liberal arts. and in lucid expositions of the Holy Scriptures. in the management and instruction of youth. 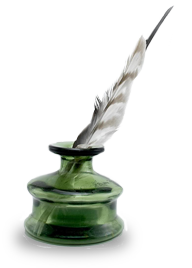 of its literary character and taste. Among the most brilliant luminaries of learning and of the Church. Charles A. Goodrich, Lives of the Signers to the Declaration of Independence, web edition, New York: William Reed & Co., 1856. Pages 211 – 221. This lineage can be readily followed on-line via censuses with very little effort. A notable early 20th century topographer, David Columbus Witherspoon, is of the same lineage and, as such, it has been previously published in part. Carter, thanks you so much for this information. I have been working with Reese’s father over the years to convince him that he is not a descendant of the Signer. He was beginning to think that he may have been a descendant of the Signer’s brother, James, but even that is speculation. I am not sure the family is really serious about getting to the roots of their family history. My late mother is Wanda L. Witherspoon, daughter of Carl Harley Witherspoon, who was born in Sabina Ohio in 1888. Carl’s father was John Leland Witherspoon, who was born inPleasant Twp, Brown Co. Ohio in 1847. John L.’s father was Claude Leland Witherspoon, born in 1802 in Mason Co. Kentucky. Claude L’s father was John Witherspoon, born in 1765. Can you tell me if this John Witherspoon is a desendant of the Rev. John Witherspoon, who was a sighner of the Declaration of Independance? 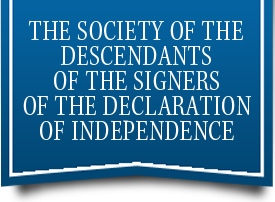 I would like to know if My grandparents were related to John the signer of Declaration of Independance. My grandfather was Romulus Pettigrew Witherspoon and my grandmother was Belinda Ellen Burkett Witherspoon. They lived at what is now called Crumpler NC. It was called Jefferson NC . I understand I descended from John and Martha Pettigrew Witherspoon of Wilkes County NC. Mary Alice, I can confirm that your Witherspoon line is not that of the Signer. I am sending a copy of your request to Charlie Weaver as I suspect he may be able to help you. He had done extensive research with the Carolina branches of the family. My aunt told me that I am a descendant of John Witherspoon. I don’t have all of the information, but she has a book that has been handed down and updated throughout the generations that mark him as my many-greats grandfather. My mother’s name is Dawn Donaldson, born with the last name of Hardicker (this is probably the wrong spelling, sorry…) and her mom is Donna Downey, born Jones. Her mother was Judith Jones, I’m not sure what her maiden name was. Then, it goes to her father. Everybody mentioned who is not deceased currently lives in Delaware. Is it possible that I actually am a descendant of John Witherspoon? Katherine, none of the names you mention are in the Signer’s descendant’s. You should also consider the possibility that you are not even related to the Signer. Witherspoon was a widespread surname and lots of them immigrated to North American in the Scotch-Irish immigration from 1720-1750. While most of this immigration came in via Philadelphia, some entered through Charleston, SC. You might want to go to http://www.rootsweb.com and get to the Witherspoon board at that site and just peruse that board to see what turns up. As with all things on internet genealogy, you should be skeptical with the information you find, but it may lead you to some fruitful leads. I would also encourage you to take your quest to a local Family History Center of the LDS church. This gives you entrée to the extensive file of the church. Again, not everything there is well documented, but it is a great resource. Do keep searching for your family’s real story. I have grown up being told that I’m a descendant of John Witherspoon. My grandparents were Mary (Harvat or Charvat) and Waymon Witherspoon from Texas. Is this true?